Greg Horn's bold, highly detailed style has helped him become one of the most recognizable cover artists in comics today. His take on a Harley Quinn joined with the mysterious Batman Who Laughs is a visceral delight for fans of the character. Cast in polyresin, the design is based on Horn's variant cover from DARK KNIGHTS: METAL. 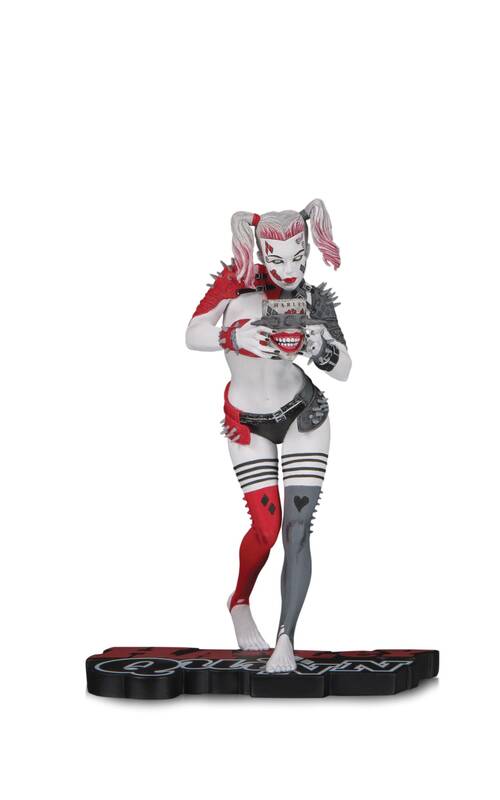 This Harley wears a haunting mask, walks barefoot and has traded her mallet for the face of the Batman Who Laughs to create a wholly unique and nightmarish addition to the RED, WHITE & BLACK collection. • Limited to 5,000 pieces and individually numbered • Statue measures approximately 6.25 ' tall.